While Topocalma fires off it’s down the line magic for the competition on the ocean side of this stunning area, only 100m away there is a beautiful shallow lagoon, overlooked by the event campsite area, nestled amongst the front edge of the tree line, where the young kids of the region are learning to windsurf with guidance from the top riders. 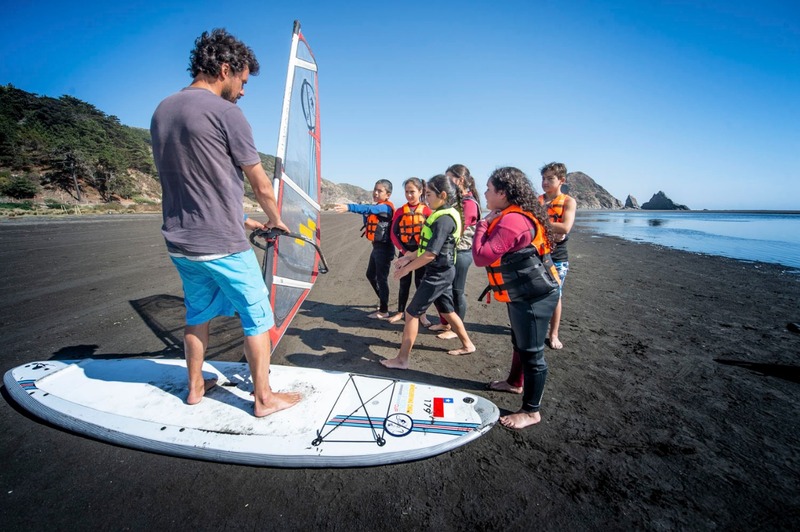 Many of the kids are under 10 years of age and are the children of passionate windsurfers like those organizing and starring in the event. The youngest was 4. This is what the IWT is all about. Around the world, the IWT is focused on nurturing the sport, at the roots. Teaching the youngest, nourishing and supporting the amateurs, and celebrating the best of the best. Giving everyone a chance to shine on a global stage and feel the unity of a global windsurfing community that we call the IWT Family. All sports are strongest when the focus is firmly on the base, on the youth, on the fun, on unity. So teaching the kids is a huge part of any good event. Check out the images of the kids learning and having fun. A ton of fun. Every day. They couldn’t care less about the quality of a wave or the perfect angle of the wind which is rather refreshing and grounding for the rest of us! These kids were just laughing their asses off and hooting with joy as they sheeted-in and felt the first surge forward and rush of excitement that every windsurfer knows so well. Their proud parents watching on. That’s the heart off windsurfing right there. 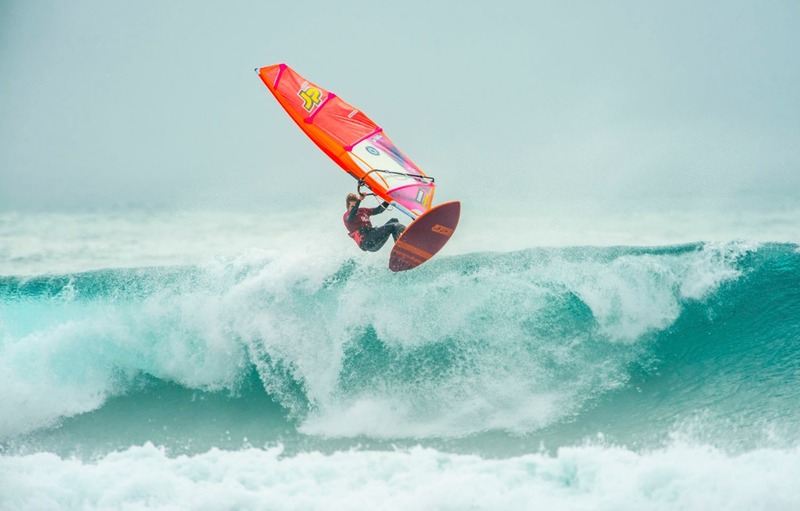 The 3rd day of competition saw a sweet little window of stunning waves and cross offshore winds that allowed both Pro Men’s semi finals to run in two 25 minute long heats. As we whittle down to the best of the best, we have been seeing truly incredible riding skills on display throughout these heats. 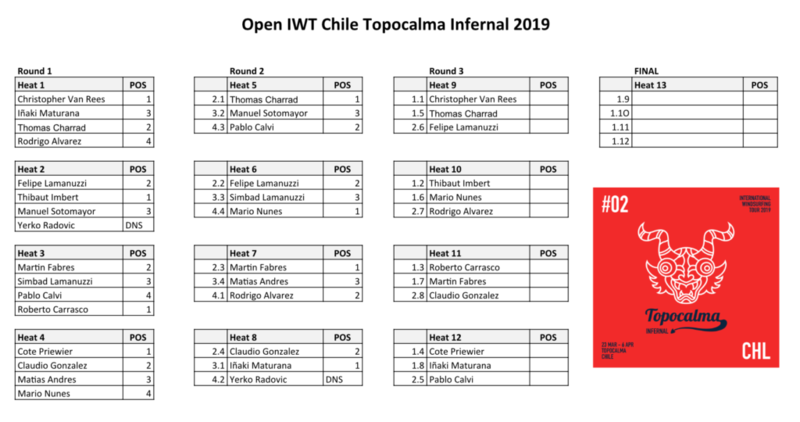 The first semi final saw the two older Fabres brothers, Diego and Benjamin (CHI) take on Matias Vargas (CHI) and Federico Morisio (ITA) in head to logo high super clean waves and shifting cross and cross offshore winds. Diego picked up a bomb set wave as the heat began and he tore it up giving him an indomitable lead. 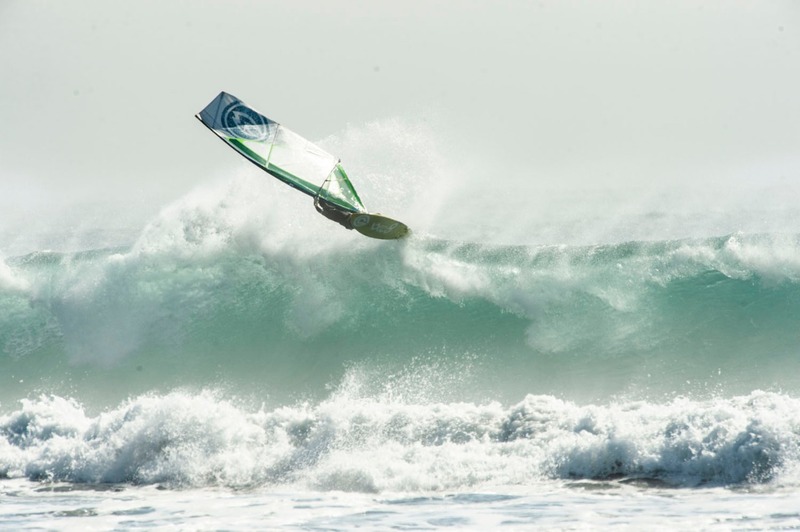 Matias sailed strongly but poor wave selection limited his scores. 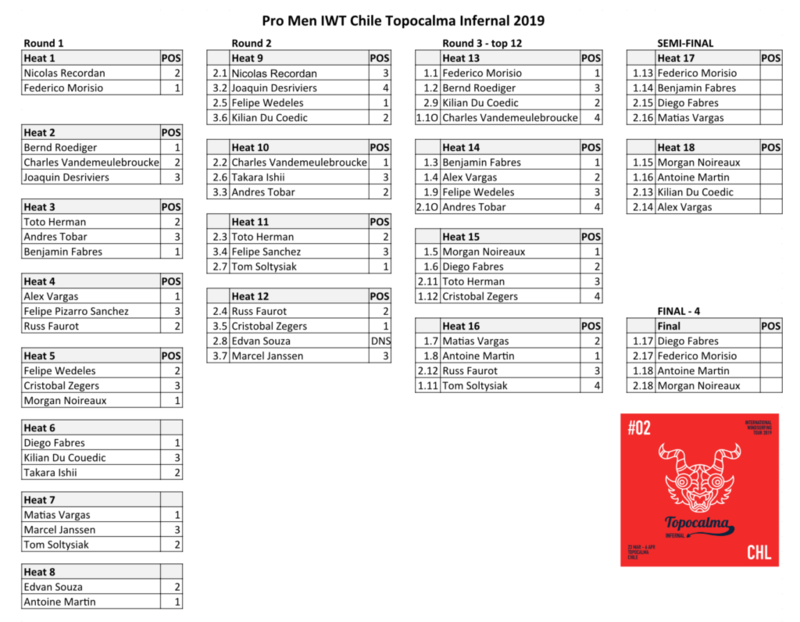 That left Federico and last year’s IWT event winner, Benjamin to battle for the 2nd spot into the Pro Men’s FINAL. In the end it was a split two to one decision in favor of Federico and a big upset as last year’s local hero was bundled out before reaching the FINAL. The second semi final saw Morgan Noireaux (HI) and Antoine Martin (GPE) dominate over Alex Vargas (CHI) and Killian Du Coedic (FRA). These two superstar friends and rivals were ON FIRE!!! 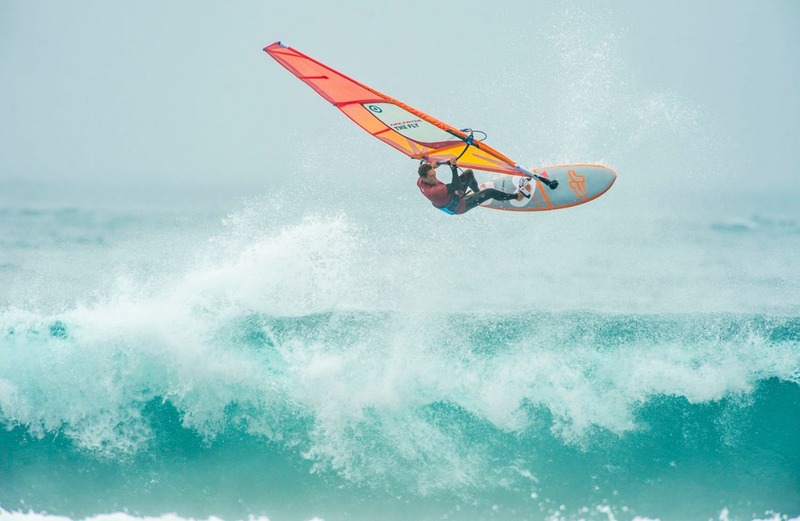 Both Alex and Kilian sailed strongly but neither were quite at their best and anything less meant they were no match for the very in form top Pro Riders this day. Morgan and Antoine advance to the Pro Men’s FINAL looking very hard to beat. Wednesday is a lay day. 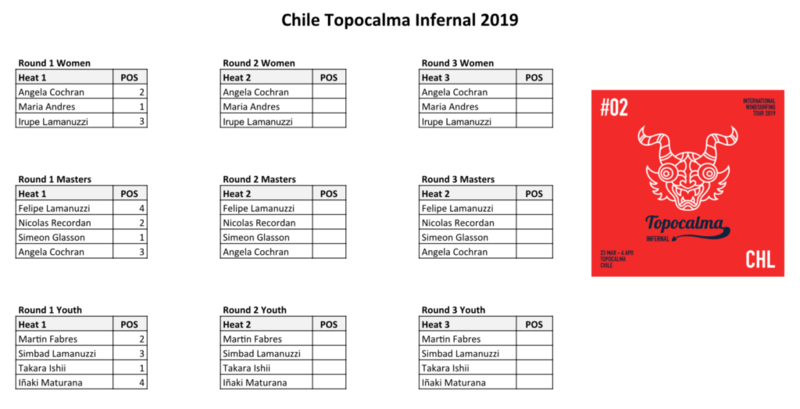 Competition will likely resume and conclude on Thursday for the Topocalma Infernal! Stay tuned.